There’s seldom a day that goes by in which someone with money to invest doesn’t scratch their head over whether they should throw some money at Bitcoin. Heaven knows, the king of crypto has been a treasure for some, like when it hit $17,900 in December, 2017. However, those who thought the sky wouldn’t fall on them had to be looking themselves in the mirror when it fell more than 60 percent a couple of months later. That bottoming out -- which placed the asset’s value at $6,200 -- was only temporary, and the stock inched its way back close to $10,000 in early May. Then came a report that the stock’s apex was the result of artificial market manipulation and another tumble -- to below $7,000 -- ensued. The stock struggled to regain its old form as the prettiest stock in the class, but it did manage to see the plus side of $8,000. That is, until last week, when it fell backwards over the course of five days and found itself in the sub-$7,000 zone once again. For those of you who are cautiously curious, the bookends of Bitcoin’s high and low ends are far less dramatic than they were six months ago. 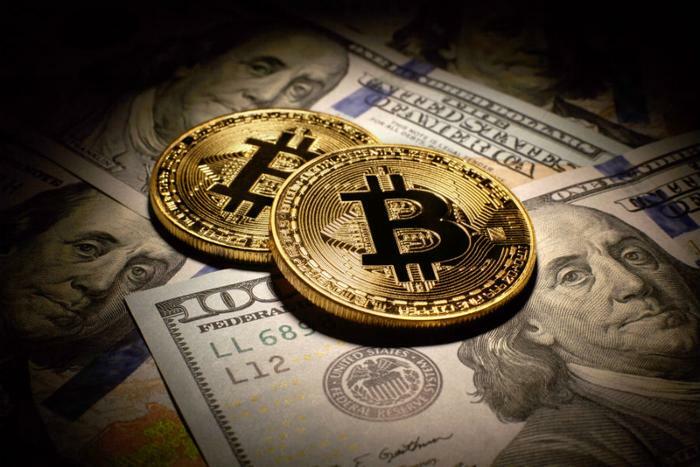 Bitcoin got a nice shot in the arm last week, when the owners of the New York Stock Exchange announced that they had partnered with upright companies like Microsoft and Starbucks to try and make the digital money a legitimate legal tender worldwide. Still, to investors who don’t cotton to white knuckle trading, the perils of Bitcoin -- and all cryptocurrencies for that face -- are fraught with warning signs. The Securities and Exchange Commission (SEC) has uncovered scams and continues its crusade to regulate crypto coins. The hack of a South Korean exchange wiped out billions in cryptocurrency. And, on Sunday, Bloomberg reported that JPMorgan CEO Jamie Dimon pulled no punches in his comments regarding Bitcoin, calling it a “scam” and saying he had “no interest” in it. Dimon went as far as suggesting governments take a proactive stance and shut down the currencies because of the powerlessness in controlling them. The Wall Street Journal reported on Monday that in an analysis of coin trader-oriented internet chatrooms, coin traders are plotting pump-and-dump scams. One such chatroom -- the 74,000-member Big Pump Signal -- chatted up 26 pump operations that resulted in $222 million in trades. The WSJ claims that other such groups exist with the ability to pump tens of millions in additional activity.